tomhodgecpa.com is a division of Hodge Group LLC. Welcome! This blog is a collection of tax and accounting topics, as well as handouts to help you with your taxes, accounting, business, etc. You can go straight to the Client Handouts through the link above. Fixing Your Tax Problems is another division of Hodge Group LLC and is dedicated to working with you to solve any tax problems, including income taxes (both personal & business), payroll taxes, tax liens and levies, installment agreements, Offers in Compromise, etc. Please click here for that website. If you’re looking for information on appealing your Property Tax in Cook County, IL, please click on this link to my site specific to that service. If there are any specific topics you’d like to see discussed, feel free to let me know. How does the IRS Contact People? Has the IRS contacted you to update your financial information on a payment plan? This may be why. 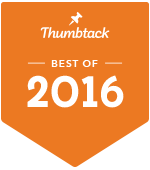 I was ranked #2 tax preparation group in Chicago for 2015 by Thumbtack.com! Want to be #1 next year! Have you heard the commercials on reducing your tax debt? What’s the true story? Older posts can be found on the Blog Posts page. Please post your comments, thoughts & questions below. Hello! Would you miind if I share your blog wit my facebook group? There’s a lot of people that I thnk woiuld really appreciate your content. There’s a contact form at the bottom of the Welcome page as well as on every blog post. I’m updating some parts of the blog so I’ll ensure contact info is more visible – thanks for the idea! Great site you have here but I was curious about if you knew of any user discussion forums that cover the same topics discussed here? Know of a couple forums on LinkedIn.com as well as on Facebook.com. I’ve posted questions and responded to questions on both with good results over the years. Woah! I’m really loving the template/theme of this site. It’s simple, yet effective. A lot of times it’s very difficult toget that “perfect balance” between usability and visual appearance. I must say you’ve done a amazing job with this.Also, the blog loads extremely fast for me on Safari.Excellent Blog! I love what you guys are usually up too. This sort of clever work and reporting! Keep up the wonderful works guys I’ve added you guys tomy own blogroll. You can use code but the interface is WYSIWYG generally. Adding pictures, charts, etc. may result in some differences between your screen & finished blog pages. Always a good idea to preview before you post. Thank you – this is a WordPress.com hosted site and I use the “Ari” theme. Thanks for sharing. As my mom used to say “Whatever you are, be a good one”. Interesting Point! I don’t have a newsletter link and I’ll add that to the main page. You can also go to the main website (www.thehodgegroup.com) and click on the Newsletter link. If you’d like an e-mailed copy, just let me know and I’ll add you to the list. I see so i am just following you. Look forward to looking over your web age again. I?¦ve read a few excellent stuff here. Certainly worth bookmarking for revisiting. I wonder how so much attempt you place to create this sort of wonderful informative web site. Hey, thanks for the blog post. Really thank you! Fantastic. This is the proper weblog for anybody who needs to find out about this topic. You understand so much its almost onerous to argue with you (not that I really would need…HaHa). You positively put a new spin on a subject thats been written about for years. Nice stuff, simply great! This is a great way to start your involvement with the CPA community. This weblog is exceptionally Fantastic. How did by yourself crank out it ? Need to work on it more often! But, it’s just a simple matter of taking the time to do research on the topics, write up things, edit, re-edit, etc. Info graphics are fairly easy to make in Excel and one can get free JPG (graphics) on various sites on the net. Recommend looking at the SBA website (www.sga.gov) as they have a bunch of free info on blogging as well as other business topics and that’s where I got basic info (although I’d already started the blog by that point). Write, write, write – that’s the key! Thanks for reading & if you’ve got ideas on additional topics, please let me know. Thanks for the feedback – actually looking into additional photos. Also working on some slide-share presentations (video) so should have something new soon! Just need to work on these items while rushing up against big deadlines! If you’ve got other suggestions on the blog, please feel free to let me know. A good primer is on the small business administration website (SBA.gov – I think) and they’ve got a bunch of free webinars on blogging, websites, and a lot of other topics. Highly recommended. Good luck with your blog! Please send me a link when you get it set up. not sure about the e-book but might be of interest. Been asking a few people in my network to guest author on my blog. I’ll check your blog and maybe we can collaborate. Simple theme offered by WordPress – thanks for the compliment! and will bee tweeting this to my followers! Exceptional blog and terrifc style and design. youu be rich and cintinue to help other people. Actually haven’t spent much on the blog (yet) as WordPress sites are free, but you can pay for additional storage, special themes, graphics, etc. Recommend doing your homework on sites, but wordpress.com is a good start. Biggest ‘cost’ is time – writing, editing, formatting, etc. plus learning SEO and key words… just takes time/effort. If you’re ever looking for specific tax and/or accounting advice, just leave me a comment. Handy and Intriguing !! Thanks a bunch. Thank you Ashleigh – much appreciate that. Please feel free to share. Anything in particular you’re interested in? Always working to provide valuable content and not overwhelm those who follow the blog with useless clutter.